Actor Burt Reynolds attends the screening of ‘The Bandit’ during the 2016 SXSW Music, Film + Interactive Festival at Paramount Theatre on March 12, 2016 in Austin, Texas. The Bandit is in town. But this time he can enjoy all the Coors he wants—legally. 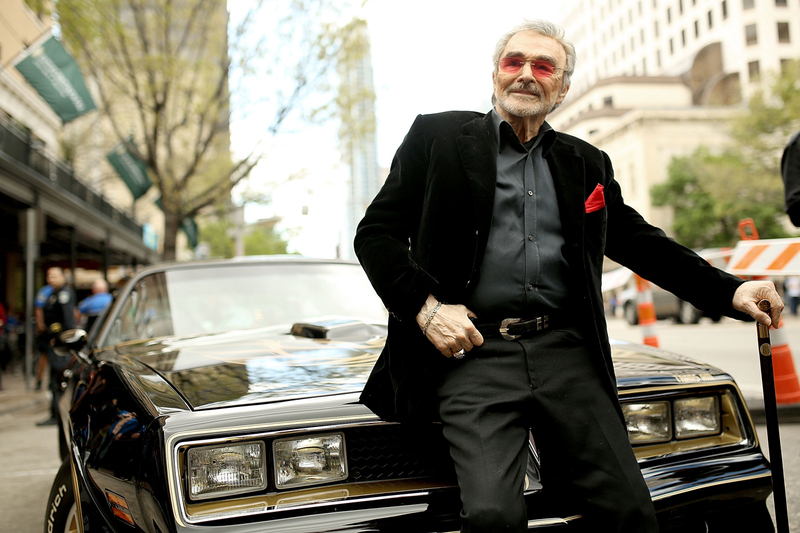 To celebrate 40 years of Smokey and the Bandit, the city of Jonesboro—where most of the 1977 movie was filmed—is hosting a festival today and Saturday where Burt Reynolds, the Bandit himself, will make an appearance. The festival will include an evening screening of the film, a Q&A session with Reynolds, Ellyn Needham (the widow of the movie’s director), and Susie “Hot Pants Hilliard” Ewing, and a Burt Reynolds look-a-like contest that will be judged by Ewing. Topping off the event will be a recreation of the movie’s famous 150-foot Pontiac Trans Am jump over the Mulberry Bridge. Although the event’s organizers wanted to reenact the scene at its original location over the Flint River west of Jonesboro, the reenactment will be at the Atlanta Motor Speedway. Frustratingly, the original site is now overtaken by weeds and wasn’t deemed feasible for another jump (sigh). The festival will have no shortage of devoted fans—and their Pontiac Trans Ams. For 11 years, fans have traveled in what’s been coined the Bandit Run, where hundreds drive from Texarkana, Texas to Atlanta with their replica Trans Ams and 18-wheelers in a convoy that can stretch up to one mile.